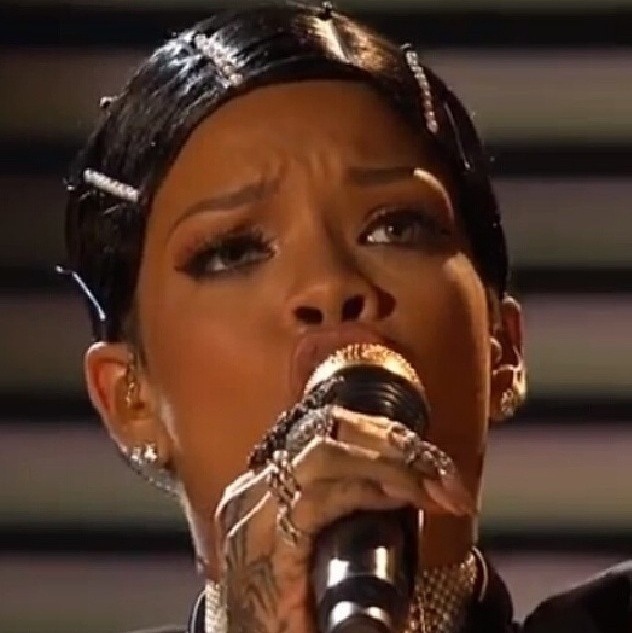 If I have to explain to you why Rihanna’s AMAs hairstyle is a haute mess, you’re reading the wrong blog. Ladies and gentlemen, never appear in public – or accept an award – in a doobie wrap, rollers or bedtime head scarf of any sort. I don’t care how bedazzled they are. I don’t understand why she would wear her hair like this. All the money she has I know she can afford a hair stylist! And she’s been knowing about the Awards. I just don’t get it. I was speechless when I saw that ‘do (or don’t, rather). And it was coming unraveled when she accept the Icon award. Haute or Not?/Learn From My Mistakes!